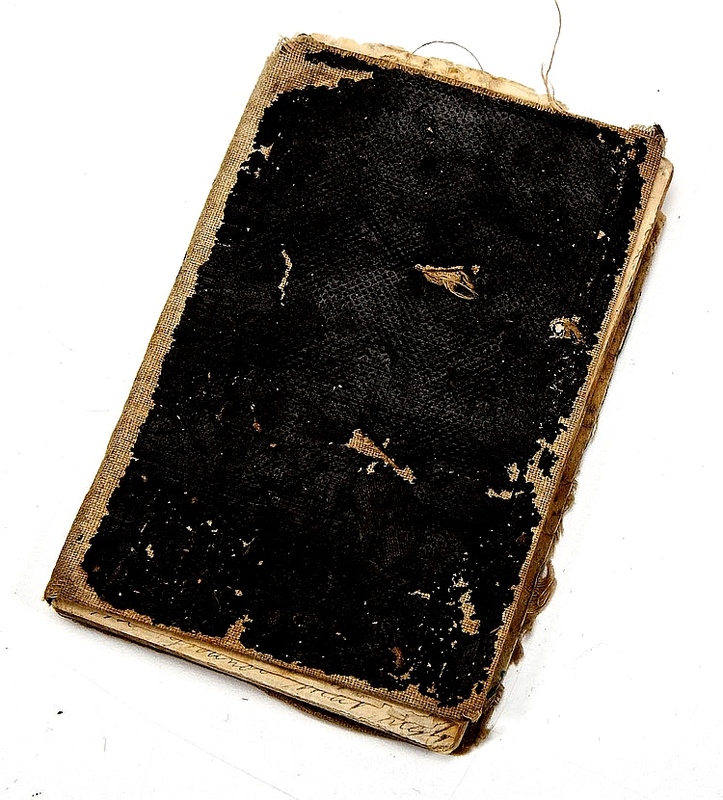 This Civil War diary belonged to Henry (“Harry”) Knox Danner (1837-1920) of the 30th Pennsylvania Infantry, Co. K. Danner identifies himself as the owner of the diary on its first page, along with his hometown of Emmitsburg, Frederick County, Maryland — a town divided during the war, with some men fighting for the Union, and some for the Confederacy. Indeed, Harry’s older brother, Joseph Warren Danner (1836-1901) served in Co. H, 1st North Carolina Cavalry (Confederate) during the war. Joseph’s untimely death in 1840 at the age of 44 years left his widow with several young children, ranging from one born the year of Joseph’s death to a seven-year-old son, Joseph Warren Danner… Joseph and Martha had ten children, all born in Emmitsburg. Martha died in 1894; she was 92 years old. Both she and Joseph are buried in the Emmitsburg Presbyterian Cemetery. The 1850 Emmitsburg, Frederick County census shows Joseph Warren Danner, now seventeen years old, as being in the dwelling of one David Gamble. David and brother William Gamble were saddlers in Emmitsburg in the early and mid-l8th century. It is believed that Joseph Warren Danner was a harness and saddle making apprentice with the Gambles; harness-making was the avocation that took Joseph Warren into the cavalry of the Confederate States during the Civil War. Private Joseph Warren Danner enlisted in the North Carolina Troops in Wayne County, North Carolina, at the age of 25 on June 20, 1861. He was captured in early skirmishes with Union troops at Urbana, Maryland, on October 11, 1862, but was paroled and exchanged at Aiken’s Landing, Virginia, on November 10 of that year. He was captured again at Gettysburg, Pennsylvania, on July 3, 1863, and was imprisoned at Fort Delaware, Delaware, until transferred to Point Lookout, Maryland, on October 18, 1863. He was paroled and exchanged on November 22, 1864, when he joined his unit at Camp Lee, Virginia, to continue fighting. The war was over for Joseph Warren Danner on April 9, 1865, at the signing of Lee’s surrender at Appomattox. Joseph Warren was part of J.E.B. 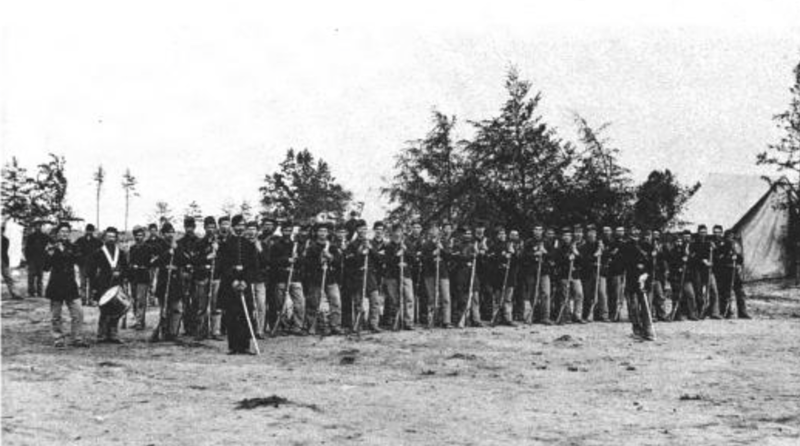 Stuart’s cavalry as they made their way up through Virginia, Maryland, and into Gettysburg. Ironically, the reports of Stuart’s charge led Joseph right through Emmitsburg. His mother, Martha, was still alive; it is reported that brothers and cousins (Agnews) of Joseph were fighting the same war, only for the Federal Union. Another piece of irony is that Joseph was imprisoned for more than a year in one of the worst Northern prisons of the war, Point Lookout, Maryland. Joseph returned to North Carolina after being paroled to rejoin his wife whom he had married during one of his furloughs; he picked up the trade he had learned from the Gambles of Emmitsburg. He, his wife, and their three children migrated to Texas after an unsuccessful attempt to make a living in North Carolina. The war and imprisonment had taken their toll on Joseph, however, and he spent the latter part of his life in deep depression. In 1901 he died in the local asylum in Terrell, Texas. A veteran’s tombstone in memory of Joseph Warren Danner has been placed next to that of his wife Mary Elizabeth Jordan Danner in Greenwood Cemetery, Dallas, Texas. 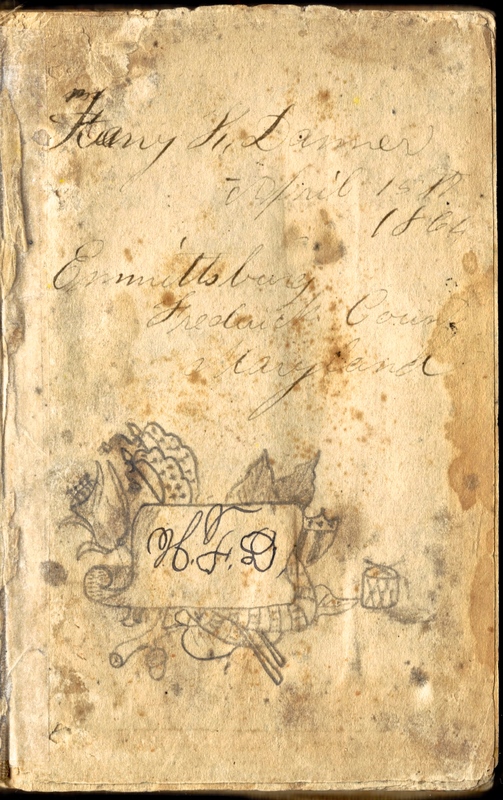 Next to his name as the diary’s owner, Harry has written the date 15 April 1864. I believe this is the date the diary was purchased or given to him. If so, then the opening pages of the diary are a retrospective account by Harry of the Battle of Mechanicsville — the opening engagement of what would come to be known as the Seven Days Battles during McClellan’s Peninsula Campaign in the summer of 1862. This — and the Battle of Gaines Mill on the following day — were the only battles in which Harry had been an active participant up until that point of time though he had been in the service since June 1861. Following the recounting of the Battle of Mechanicsville, Harry then jumps forward to 25 March 1864, with almost daily entries until the regiment mustered out on 13 June 1864. 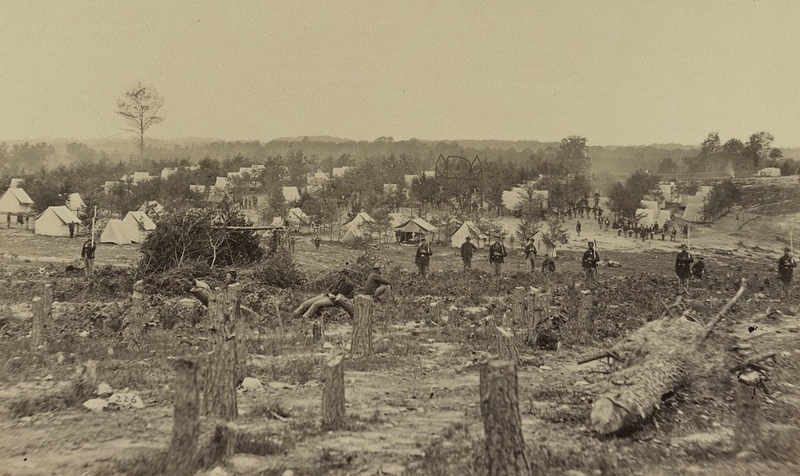 During this time, the 30th Pennsylvania fought in numerous Battles, including the Wilderness, Spotsylvania Court House and Bethesda Church, all recounted here. In the fighting near Bethesda Church on 30 May, 1864, Danner claims to have received a wound in the leg but it was apparently so insignificant that he was able to remain with his company and muster out with the regiment. Danner also describes two encounters he had with Felix J. Wise, an acquaintance from his hometown of Emmitsburg, who enlisted in Co. C, 18th Virginia Heavy Artillery on 14 December 1862 at Richmond, Virginia, and transferred to Co. F of the 1st Maryland Cavalry in June 1863. Felix was captured at Pollard’s Farm, Virginia on 27 May 1864 and sent to Point Lookout where he was exchanged on 17 February 1865. He was paroled at New Market, Virginia on 19 April 1865. He was described as being 6 foot tall with a light complexion, light hair, and brown eyes.